Tired of walking down in Jl. LLRE. Martadinata, I stopped and took a rest for a moment in front of an ice cream kiosk, waiting in line for some ice cream. 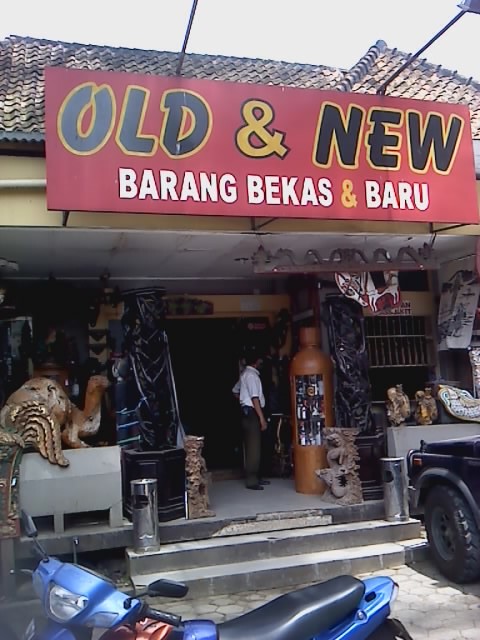 While I’m waiting, my eyes stared on a simple ordinary shop, with big signs on top of it : OLD & NEW Barang Bekas & Baru (Old and New Stuff). In my heart I ask, is this a new shop? For the first time I saw this shopping place. In fact, almost every week I pass this way. Hmm… strange. Then, after I finished eating my ice cream, I was rushed into that shop. The shop was used to be a house , i thought. 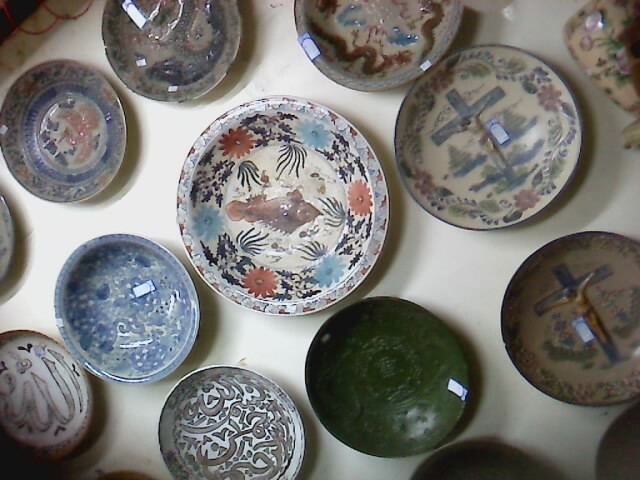 Starting from the front area of the house, the courtyard and terrace, it start filled with antiques and second-ha nd goods. From statues, old gate house, even old toys. 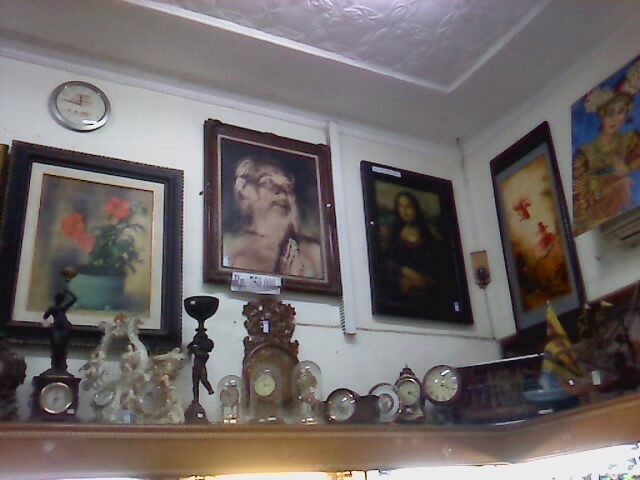 I went to the first room, the room filled with goods, which in part, antique and some second-hand item, such as old bills, watches, paintings. 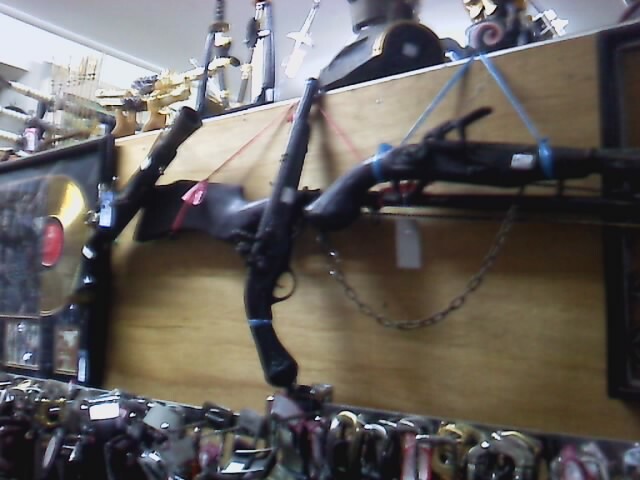 Continue to the second room (living room), some antique rifles collection there. Then upstairs, is the area of sports. 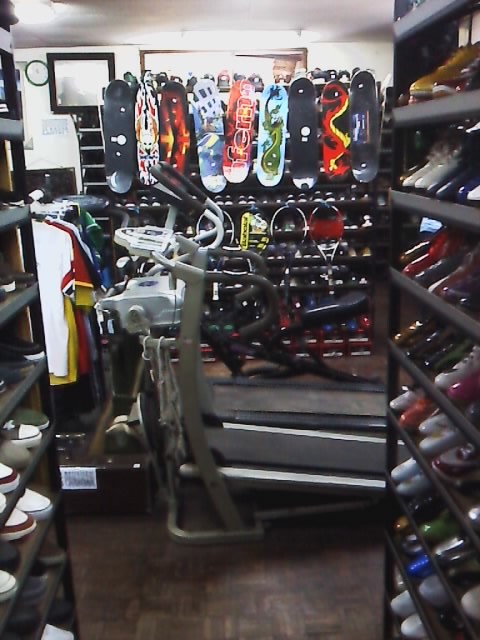 There are second gym equipment, shirts and sweatpants, skateboard, etc. Down to the ground floor, the back room, there is a music area. There are collection of old tapes, music CDs, PS CDs and anything related with amusement. 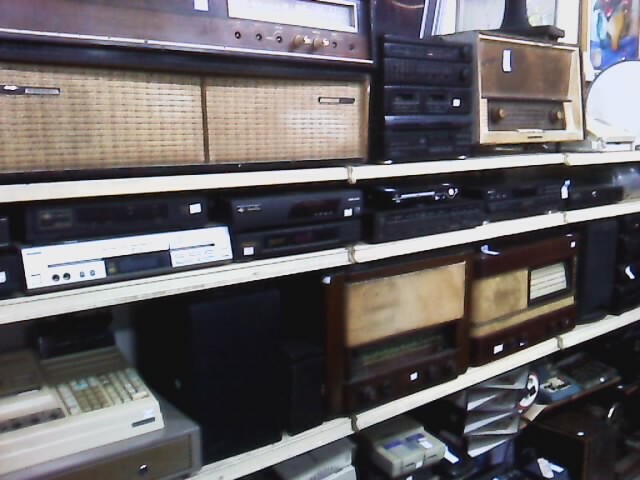 But, most of all, the most favorite item is an antique radio. As of the 1950’s. Bring my memories to my childhood back, when an old radio, perhaps as old as the radio in the store, still placed on the cupboard in the dining room of my house. 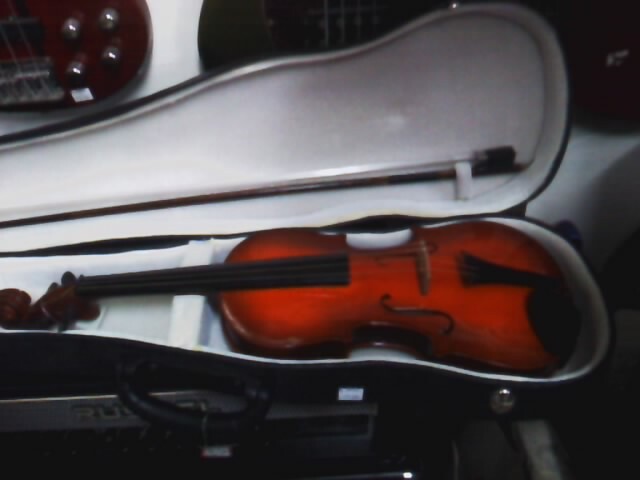 I remembered, I used to play with it, till that poor old radio finally broke. 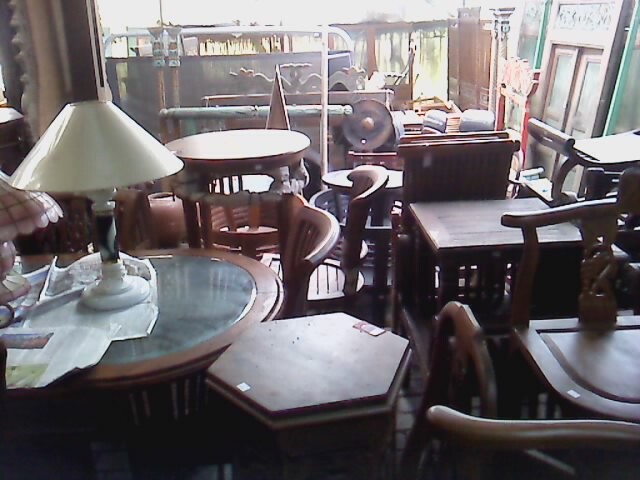 In the back yard, I found many furnitures, second-hand goods and antiques. 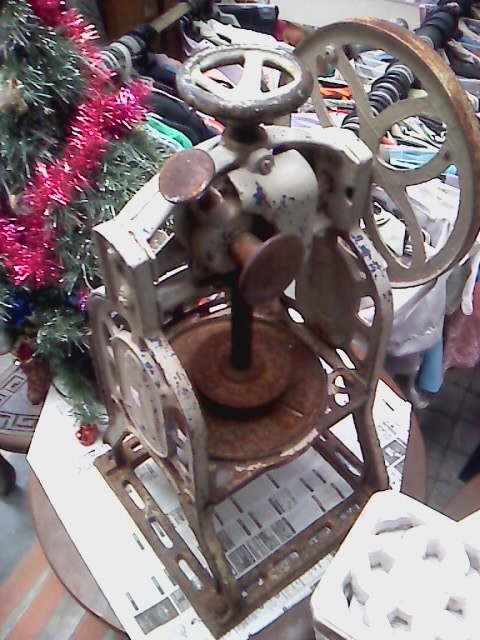 And I quite surprise that I found an old shaved ice maker. The tool I’ve seen in a snack shop, near my school when I was a student there. I remembered once I was with my friends, we used to buy at least a bowl of shaved ice in flavours at that shop. And made the shop a place where we can hang out, when the school recess or after school. Finally, I stepped out through the door of the shop. Brings many memories that I have ever felt. 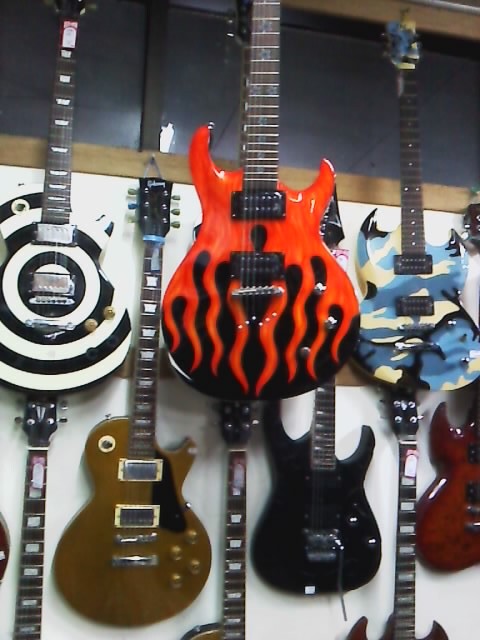 Maybe I’ll go back to that shop, someday. 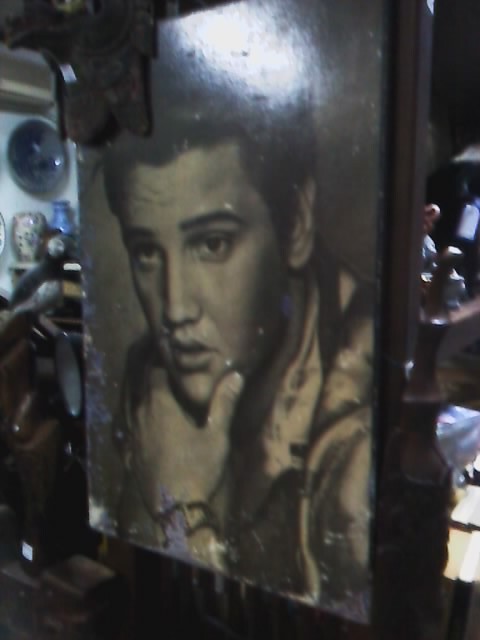 This entry was posted on Monday, January 31st, 2011 at 6:54 am	and tagged with Bandung, elvis, memories, new, nostalgic, old, shop and posted in History, Places, Souvenirs. You can follow any responses to this entry through the RSS 2.0 feed. We loved this shop when we visited Bandung, we came from New Zealand after hearing about the great shopping in Bandung, this was our favourite. I am still regretting not buying more than I did from here. Maybe next time. I hope you will soon visit to Bandung. It’ll be next time. Hope you’ll visit bandung again.